The Episode starts with Anurag watching Komolika and Prerna’s fight. He thinks Komolika’s madness will harm Prerna, this marriage was her conspiracy, but this will backfire now, Prerna I have to make you hate me that you leave this house. Anurag asks Komolika not to shout, its not good for her health, go to mum. Mishka thinks did Komolika really work her charm on Anurag. Komolika refuses to go. He holds her and says I will handle this mess, Mishka even you go to mum. They go. Anurag thinks I will become bad so that you oust me from your heart. He asks Prerna to go, she won’t get him or any rights. Prerna says I m not here to get anything, I have come here to return everything with interest, its your turn to lose now. He asks will you fight with me now, it will end in a bad way, just leave. She says you should be scared now, you are going to suffer. Mohini says we are not going to fulfill Prerna’s demands, Anurag didn’t know of Grah nakshatra, he loves you. Mishka thinks he would have not agreed if Komolika didn’t blackmail him. Komolika says I love you and all the members of this family, I want to be your Bahu, but Prerna, I don’t know what she wants, she is claiming that she is Bahu of Basu family, who am I. Mohini says you are our bahu, I have called someone, when she comes here, Prerna can’t stay here. Veena comes. Komolika asks who. Mohini says Prerna’s mom Veena will drag her from here. Komolika thinks its a master stroke. Mohini says I want to witness this. Prerna says I m not here to obey you, I will do the opposite of what you say, I m here to take revenge, you have hurt me, you have to feel the pain and I will get the peace. Veena shouts Prerna. Prerna says I should have told this before. Mohini asks Veena to take her daughter away, Prerna ruined the engagement and reception and today the rasam, she is trying her best to ruin Anurag and Komolika’s marriage, its good Rajesh isn’t alive today, else he would have died seeing this. Nivedita says its our mistake that we allowed her to come here. Prerna asks Nivedita to stop. Veena asks Prerna to see if Anurag is speaking anything in her favor. She says I won’t let you stay in this family, these people are stone hearted, what you are doing isn’t good for Komolika. Mohini says take your shameless daughter from here. Anurag says mum please…. why are you wasting your time and energy on such people. Veena takes Prerna. Prerna asks her to listen. Veena asks what’s this sindoor. Prerna says I know its wrong, I should have told you before, Anurag and I are married. She tells everything. Mohini says I don’t believe this marriage. Veena says when Anurag requested me, I blessed this relation and gave consent to this relation, how low will you stoop, we are poor, we don’t care what you think. She asks Nivedita not to talk in between. Veena says if you want to stay here, I have no objection, I m with you in this decision. Prerna says you gave me strength when you told me to fight for my rights. Veena says I have to do your bidaai, don’t shed any tears now, I will pray that you get strength that you face all of them. Mohini gets angry. Suman talks to her mum and complains about Prerna and Shivani. She sees Shivani and ends call. Shivani asks her not to say anything against Prerna. Suman curses them to get worst Sasurals. Komolika says I m bahu of this house, how can you leave Prerna here. Veena asks her to stop this drama. She says Mohini doesn’t consider Prerna as Anurag’s wife, I don’t consider you as his wife, Prerna is his first wife. Mohini says get out Veena. Veena says I m your Samdhan, not your employee’s wife, I have met my daughter and I will take your leave now. Anupam says I will drop you. Veena blesses Prerna. Anupam says Prerna has done a big thing, few mums support daughters in such times. She says its Prerna’s life’s test, I m just standing by her. She goes. Anupam says Prerna’s new side will make everyone’s life difficult. Mohini asks Anurag to say something to Prerna. Prerna asks her not to create misunderstandings between them. Mohini says get out else I will call police. Nivedita says I will throw you out. Prerna says I will call the police. She calls police and says I m Prerna Sharma Basu, Anurag Basu’s wife, my mum in law is forcing me to leave the house, she is threatening to beat me up, come here soon, I m scared, don’t you know Basu house, talk to my mum in law. Mohini disconnects the call. Prerna says I m this house’s Bahu, I did my homework and came here, none can make me out of my husband’s house and life. Anurag says everything is mortgaged to Komolika. Anupam asks what. Prerna says tell my husband that I m waiting for him. Komolika agrees. Mohini asks Komolika to go on honeymoon with Anurag. 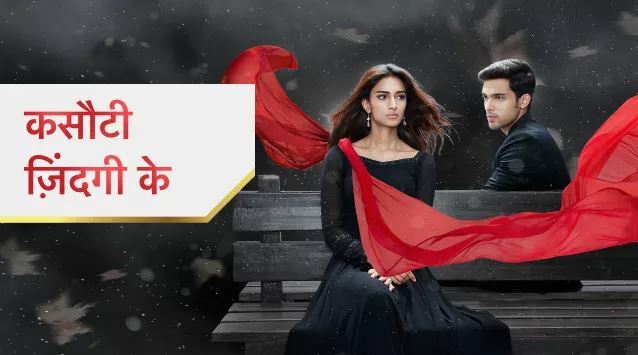 The post Kasautii Zindagii Kay 12th March 2019 Written Episode Update: Veena supports Prerna appeared first on Telly Updates.